Since 1994, Urmos Chiropractic Health Center has been providing quality chiropractic care to families, including pregnant mothers, children and the elderly. We love to care for patients of ALL AGES! We have alleviated headaches, neck and back pain with an understanding that the pains our patients are experiencing are very serious and can affect so many areas of their lives. If you have had a sports injury or have been involved in an auto accident, we are here to familiarize you with the chiropractic care options that are available to relieve your pain so that you can get back to enjoying life. You may think that chiropractic care is only for back and neck pain. The truth is, chiropractic care can benefit a wide variety of health problems that stem from the dysfunction of your spinal joints and nervous system. Everyday wear and tear, old injuries and even stress can cause your vertebrae to lose their proper motion or position. 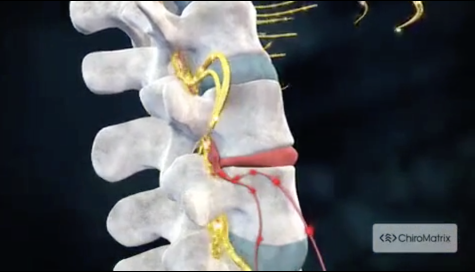 Spinal joint dysfunction may be a source of irritation to your nervous system causing pain and nerve interference throughout your body. At Urmos Chiropractic Health Center, we are committed to delivering excellent chiropractic care and relieving our patients’ pain without medications or surgery. We understand your pain. Give Urmos Chiropractic Health Center a call and schedule an appointment. Dr. Cynthia Urmos-Clements, along with her caring staff, will be delighted to assist you. Dr. Urmos-Clements is a Certified Chiropractic Sports Physician and is proficiency rated in the Activator Method Chiropractic Technique. We also have two Licensed Massage Therapists on staff. We have been serving the Florida cities of Gulf Breeze, Navarre, Milton, Pace, Pensacola and surrounding areas for over 20 years! Call today to schedule an appointment, or for more information on our chiropractic services.